I’ve always really loved the look of dark hair and light eyes! Luckily circle lens are a cheap alternative to regular colored contacts (like acuvue) in achieving the look. Circle lens come in all shades and sizes, but I tend to go towards the smaller diameters for a more natural look. If you haven’t tried circle lens before, it definitely takes getting used to. They don’t feel as “not there” as my regular contacts and some brands and models are more comfortable than others. I’ve never been an avid wearer of circle lens though I have tried them in the past. The packaging for this set is so adorable and cute! This particular model lasts a month (though tbh sometimes I use them longer than that since I don’t use them daily haha) but they also make ones that last a year. 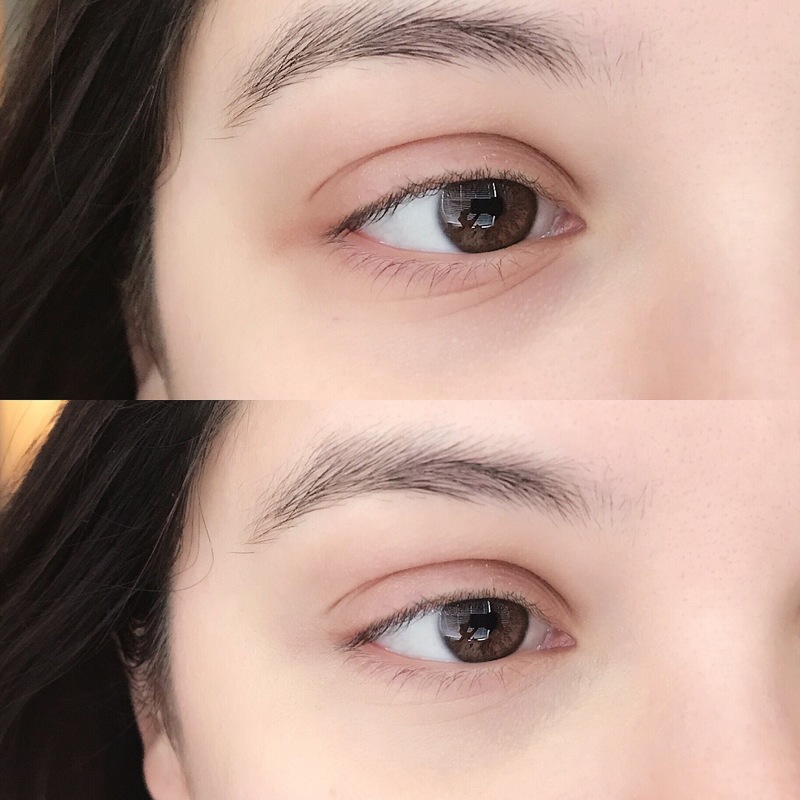 From my experience the monthly ones tend to be more hydrating to the eyes and more comfortable. Plus it’s safer, contact lens do formulate build up even through cleansing. I’m blind as a bat so I use prescription lens, you have to upload your prescription to the website. I really need to get mine updated though. Lately I’ve been squinting a lot even with my regular contacts, gives me headaches. Also, usually the yearlies come in a bottle packaging, but the monthlies tend to come in peel packaging. Pinky Paradise includes a bunch of cute stickers with your order and also an adorable case for your lens, complimentary. I ordered from Pinky because I’ve heard great things and the shipping was pretty quick. Less than 2 weeks I think! Of course there are different methods of postage and I opted for the more expensive one which was close to 8$. My total was around 20$. I’ve also been trying to get more use out of my Luxy Extensions lately! It’s pretty hard to blend them with my short hair but if I do pig tails/pony tails I can pull it off. I am not affiliated with Pinky Paradise and all items mentioned in this post were purchased by me unless stated otherwise! I love this!!! You look so pretty! You look so pretty and that pink floral dress looks dreamy as well!